Adventure Scientists mobilizes the outdoor community to gather and share scientific data to drive conservation impacts around the world. 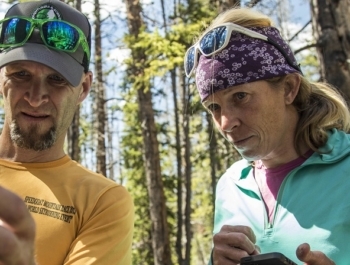 Data collection for environmental research can be expensive, time consuming and physically demanding, which limits the role that science currently plays in the conservation process. Adventure Scientists addresses this problem by providing partners with reliable and otherwise unattainable data at a fraction of the traditional time and cost. By recruiting, training and managing individuals with strong outdoor skills—such as mountaineering, diving or whitewater kayaking—they bring back otherwise unattainable data from the far corners of the globe. Through their involvement with Adventure Scientists projects, volunteers become informed ambassadors for the species and places with which they work. By telling their stories in the rich tradition of outdoor adventure, they greatly magnify their partners’ efforts. Since 2011, Adventure Scientists efforts have led to the discovery of more than two dozen new species, provided key information to guide wildlife and habitat management, and mobilized thousands of individuals to advocate for conservation. Gregg Treinish founded Adventure Scientists with a deep passion for exploration of the natural world. During a thru-hike of the Appalachian Trail in 2004, Gregg began to feel a strong desire to make a difference with his time in the outdoors. 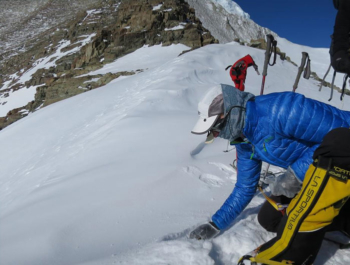 The feeling grew as he earned an Adventurer of the Year honor when he and a friend completed a 7,800-mile, 22-month trek along the spine of the Andes Mountain Range while studying sustainability. Through his experiences researching lynx, wolverines, bears, owls, and sturgeon, Gregg learned that scientific data collection can be easy to teach – even to a layperson. Additionally, he gained an appreciation of the extensive need for scientific data that permeates the conservation community. 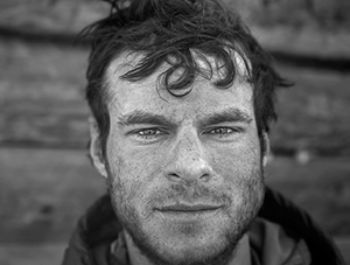 Gregg was included on the Christian Science Monitor’s 30 under 30 list in 2012, and the following year became a National Geographic Emerging Explorer for his work. 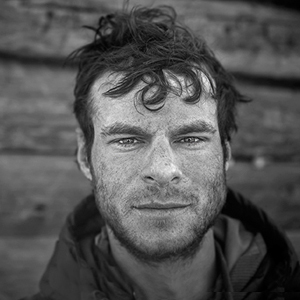 In 2013, he was named a Backpacker Magazine “hero,” one of Men’s Journal’s “50 Most Adventurous Men” in 2015, and an Ashoka Fellow in 2017. Adventure Scientists focuses on collecting data that will directly lead to tangible conservation management outcomes for the environment. These outcomes have included gaining additional protection status for wildlife, inspiring manufacturers to change their production processes to reduce microplastic pollutions, and helping to identify genes responsible for antibiotic resistance. Each project investment is vetted to ensure that the project directly addresses an environmental issue where the collection of data has been a limiting factor to unlocking a solution and that there is a clear need for a dispersed network of outdoor volunteers. The Timber Tracking project, a partnership with the U.S. Forest Service, US Fish and Wildlife Service, and the World Resources Institute, in its second year, is creating genetic and chemical reference libraries to make it possible to identify wood species, origin, and legality on the spot. These databases can be used to prosecute timber theft and disrupt the trade of illegally harvested timber, which is a criminal trade larger than the global heroin trade in scale. In 2019 the Montana Wildlife Connectivity project will identify hotspots of wildlife-vehicle collisions to inform the strategic placement of overpasses, underpasses, and other infrastructure by the Montana Department of Transportation, Montana Fish Wildlife and Parks and NGO partners.